Nonimmigrant/Temporary Visas | Chicago Immigration Lawyer | Bankruptcy Attorney | Personal Injury Law Firm | Ebere N. Ekechukwu & Associates, P.C. F-1 Student Visa is allocated to academic students entering the United States temporarily for the purpose of pursuing a full course of study at an accredited University or college, High School, Private elementary school, Seminary, Conservatory, another academic institution, including a language training program that is approved by the Attorney General. Visa Waiver Program: Citizens of certain countries do not need a visa at all to enter the U.S. for a temporary visit. 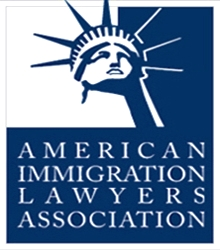 It enables foreign nationals, mostly from countries with low rates of U.S. immigration violations and which have met certain security related protections, to visit the United States for up to 90 days for either for pleasure or for business. Traveling under the Visa Waiver Program regularly as against applying and obtaining B1/B2 visa from the U.S. embassy has its drawbacks and restrictions. Ambassador, public minister, career, diplomatic or consular officer, and immediate family. Employer-specific; Certain dependents from countries with special bilateral agreements are eligible for EAD incident to status; other dependents must apply for employment authorization. Other foreign government official or employee and immediate family. Personal employee of A-1, A-2, and immediate family. Employer-specific; Dependents are not eligible for employment. Not eligible for employment, except servants of holders of B, E, F, H, I, J, L, NAFTA visas or a U. S. citizen residing in a foreign country and certain employees of airlines not eligible for E-1 status. Such servants must apply for employment authorization. Alien in transit directly through U.S.
Alien in transit to United Nations Headquarters. Foreign government official, immediate family, or personal employee in transit. Crewmember departing by means other than arriving vessel. Treaty Trader and employees, spouse, and children. Employer-specific; Spouses in same classification are eligible for EAD incident to status; children are not eligible for employment, except unmarried dependent children of E-1 employees of the Coordination Council for North American Affairs who may apply for employment authorization. Treaty Investor and employees, spouse, and children. Employer-specific; Spouses in same classification are eligible for EAD incident to status; children are not eligible for employment. Eligible for on campus employment and curricular practical training incident to status (no separate EAD necessary). Must apply for employment authorization for optional practical training or to work off-campus. Must apply for employment authorization for curricular practical training or post-completion optional practical training. Principal resident representative of recognized foreign member government to international organization, staff, and immediate family. Employer-specific; Certain dependents from countries with special bilateral agreements must apply for employment authorization. Other representative of recognized foreign member government to international organization, and immediate family. Representative of non-recognized or non-member government to international organization, and immediate family. International organization officer or employee, and immediate family. Employer-specific; Dependents must apply for employment authorization. Attendant, servant, or personal employee of G-1, G-2, G-3, G-4, and immediate family. Temporary worker performing Agricultural Services unavailable in the United States (Petition filed on or after 06/01/87). Temporary worker performing other services unavailable in the United States (petition filed on or after 06/01/87). Not eligible for employment, except in the case of a battered spouse (eligible for EAD). Information Media Representatives and immediate family. Must apply for employment authorization. Must apply for employment authorization for post-completion optional practical training. Principal Permanent Representative of Member State to NATO, official staff, and immediate family. Other Representative of Member State to NATO and immediate family; Dependents of Member of a Force Entering in Accordance with the Provisions of the NATO Status-of-Forces Agreement or in Accordance with the provisions of the Protocol on the Status of International Military Headquarters; Members of such a Force if issued visas and immediate family. Official clerical staff accompanying representative of member state to NATO and immediate family. NATO official other than those qualified as NATO-1 and immediate family. NATO expert other than those qualified as NATO-4 employed in NATO missions and immediate family. Member of civilian component accompanying a force entering in accordance with NATO Status-of-Forces Agreement or attached to Allied Headquarters under “Protocol on the Status of International Military Headquarters” set up pursuant to the North Atlantic Treaty and immediate family. Personal employee of NATO-1, NATO-2, NATO-3, NATO-4, NATO-5, and NATO-6, and immediate family. Aliens accompanying/assisting O-1 performers or athletes. Individual or Team Athletes, and Group Entertainers. Individual/Group Artist/ Entertainer under Reciprocal Exchange Program. Artist or Entertainer in Culturally Unique Program. Witness or informant regarding criminal organization. Victim of a severe form of trafficking in persons. Spouse of Lawful Permanent Resident who is the principal beneficiary of a family-based petition. Child of Lawful Permanent Resident who is the principal beneficiary of a family-based petition.